Earlier this fall the DOT and FAA announced a new program designed to help UAS-NAS integration by offering governmental entities, private sector entities, UAS operators and other stakeholders an opportunity to team up and help the integration process along. FAA Federal Regulatory Preemption of Drone Operations – Does It Really Exist for Small Operators? We received a request in early May to defend a recreational drone operator with a municipal ticket for operating a drone in a city park. The ticket was non-descript and didn’t state a fine but only indicated the operator was being “charged” under a rather broad administrative local regulation. It also didn’t state if the “charge” was a felony, misdemeanor or petty offense. The ticket did however state that the operator was required to make a physical appearance in the particular Court of Jurisdiction on a specified date to defend against the ticket. The physical appearance was mandatory and failure to appear carried a maximum penalty of $1000. Frightening, but apparently there are large numbers of operators who either aren’t aware of the regulations or just don’t care. 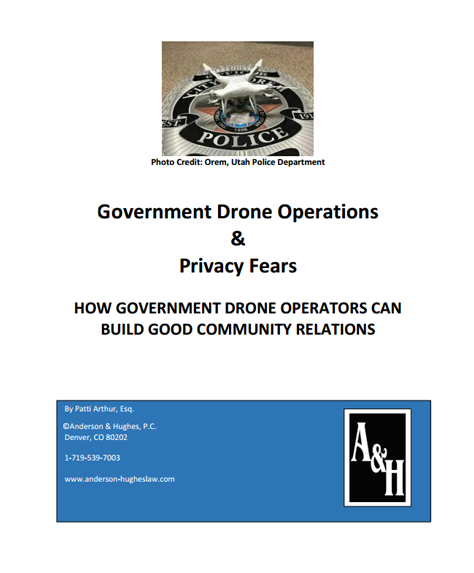 Reports of dangerous drone operations, and even accidents with people, appear more commonplace. Many might just chalk this up to increasing use, but what about enforcement? The FAA announced on Wednesday that its case against SkyPan Has been settled for $200,000. SkyPan is an aerial photography company and according to the FAA, it violated Federal Aviation Regulations in 2014 by operating drones over congested airspace in New York and Chicago, thus causing an air safety hazard. The original fine was assessed at $1.9 million. This case is one for drone operators to know because the FAA is not kidding around when it comes to assessing fines. While there aren’t a lot of general drone-specific regulations or laws on the Colorado books just yet, wildlife hunting is one area that has received particular attention. Colorado was the first state to recognize the use of drone technology specifically related to hunting. Believe it or not, this happened way back in early 2014. “For the purposes of this regulation, drone shall be defined as including, without limitation, any contrivance invented, used or designed for navigation of, or flight in the air that is unmanned or guided remotely. Drone hobbyists and commercial Part 107 operators can find themselves in a lawsuit nightmare if a mishap occurs and you don’t have insurance. Make sure you are covered with the right insurance product. Check out this article on drone operations and insurance…the insurance industry is rapidly developing flexible products for hobbyists and commercial operators. On June 21, 2016, the FAA released new 14 CFR Part 107 related to commercial use of Small Unmanned Aircraft Systems (sUAS), commonly known as drones. Information about the new Part can be found here. Links to the full Part 107 and a short FAA Fact Sheet can be found at the bottom of the FAA’s news release along with an explanation of some unique sections of the Part. Advisory Circular 107-2 also dated June 21, 2016 gives a thorough explanation of Part 107 and discusses the FAA’s policies on a number of matters. AC No. 107-2 can be found here.